Editorial: Are the new CAFE standards good or bad? 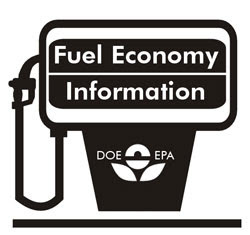 As you may know, President Obama announced the new fuel economy standards today. As I posted yesterday, the increase means automakers must increase their fleet averages to 42 mpg for cars and 26 mpg for trucks by 2016. Proponents of the action believe that this increase is a step in the right direction. They believe that the U.S. has lagged behind other countries (specifically those in Europe) for too long, and it's time to do our part to reduce emissions and conserve fuel. Opponents believe that this is not the time to force automakers to increase fuel economy, and that there are plenty of fuel-efficient cars on the market, but they aren't selling well. Therefore, forcing automakers to build more cars that people don't want won't be a good thing. I can certainly see both sides of the story. I think it is a good thing that we raise our fuel economy standards; conservation is a good thing. Personally, I look forward to hopefully having more small, fuel-efficient vehicles on the market. With that being said, I know driving a subcompact isn't practical for everyone, and there is a need for larger cars and trucks, and that's fine. Perhaps now is the time when automakers will begin to implement fuel-saving technologies such as turbo charging, direct-injection, and diesel engines that other parts of the world are already using, so Americans can continue to drive larger cars and trucks, but not use as much fuel and not pollute as much. There are people that believe that this will be the second coming of slow, boring vehicles, often referred to as "Malaise Era" vehicles. These were slow, uninspiring, emissions-choked cars (Think Ford Mustang II). However, that was the ’70s. There weren't the technologies there were today. It's been shown that newer vehicles can both perform well and get decent fuel economy. We don't use smog pumps; we can build small-displacement engines that produce more than 70 hp; we've got a better understanding of aerodynamics. Let's face it: Change can be hard to deal with. However, at some point, we need to progress into the future. Hopefully these CAFE regulations will help things more than harm them. Since all the cars I buy will be Toyotas, I am not worried. GM and Chrysler are in trouble as people will resent the fact that they got billions, both before and after the bankruptcy and will probably go out of business because of that resentment. I think this forced mileage standard is a mistake. Government needs to let free enterprise deal with these issues and not "help"! I guess it depends on whether or not you believe free enterprise will truly deal with the issues in what you believe is the right way. My personal belief is that sometimes free enterprise needs to be goaded along. Just my two cents, though. Frankly, I don't think free enterprise will make fuel efficient cars in America the norm. Mostly because America has cheaper fuel than the rest of the world and the average American has pretty bad taste in cars. If you think government is going to provide solutions, think again. They will mess this up just like they mess up everything else. Soon cars will cost 100K and be the Quality of Fiat. And it won't stop with cars. Soon the government will be telling us how to think think and how to look. They will cripple the car making ability and nobody will want an American car. Toyota and Honda couldn't have planned a better take over of the car industry if they had planned it. I don't believe that the automakers will self regulate with regards to fuel economy. Sure, if people demanded a car that got 40mpg, they'd build it. However, look at the popularity of low-mileage SUVs and trucks as daily drivers, especially 3-5 years ago. I believe there needs to be some standards set on a national level (not the patchwork of state-regulated mileage). I'm sure people thought the same way with regards to seat belt laws, crash test standards, and airbags, too. I guess it just depends on your point of view. CAFE is silliness, there are always loopholes and exceptions. The only way to really regulate the market is to tax gas. A gas tax is a great, very fair tax - big heavy cars that beat up the roads & use resources pay more, small efficient cars pay less. If you drive more, you pay for it. In an ideal world, gas in the US would be taxed to sit at around $4/gallon or so and the revenues would go to road maintenance. Then, people would holler for efficient cars and the automakers would be quick in delivering them. Government regulation is too big and clumsy to really make a difference. A straight-up gas tax is the cleanest, most efficient way to encourage people to make efficient purchasing decisions. Jake, it's interesting because I just was reading about a gas tax instead of CAFE regulation. I look at what happened last year when gas skyrocketed. Some people actually ditched their larger vehicles for more fuel-efficient models. The automakers also, consequently, started offering more subcompacts and fuel-efficiency offerings. Perhaps a tax would be the way to go. In doing a bit more reading on this subject, I wonder if the automakers will simply not meet the standards. (Remember when California was supposed to have a certain percentage of electric vehicles on the road? That didn't happen.) It will be interesting to see if the CAFE standards actually have any teeth to them, or if a higher gas tax is something this administration would consider. I've already read that some people would say a gas tax is political suicide, though. I think there needs to be an increase in the gas tax, but not to the point where it would raise gas to $4.00. That would be punitive. People need the option to buy the car they want. There needs to be more oil and gas refineries to increase the supply of oil. There is more than enough oil, we just need to get it. It is just un-American to keep telling people what kind of cars they have to drive and increase the cost of gas so that it forces people to drive cars they can afford to fuel. It reminds me of the old saying, "Everyone wants to go to heaven, but no one is willing to die to get there." I just don't think people can have their automotive cake and eat it, too. People want cheap gas and big cars. It's seeming like we'll either get cheap gas and smaller, less powerful cars, or more expensive gas and larger, cheaper cars. I think you can have both. The whole issue of oil is a man made shortage, not a real shortage. There is more than enough oil to last a hundred years.....there just isn't enough refinery capacity....which isn't being expanded.